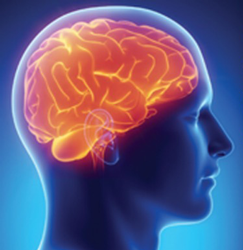 Concussions and other brain injuries can be serious and potentially life threatening. If managed properly, most athletes can enjoy long careers in sports after a concussion. Research indicates that these injuries can also have serious consequences later in life if not managed properly. A concussion occurs when there is a direct or indirect injury to the brain. As a result, transient impairment of mental functions such as memory, balance/equilibrium, and vision may occur. It is important to recognize that many sport-related concussions do not result in loss of consciousness and, therefore, all suspected head injuries should be taken seriously. Coaches, parents and fellow teammates can be helpful in identifying those who may potentially have a concussion, because a concussed athlete may not be aware of his or her condition or may be trying to hide the injury to stay in the game or practice. Click here to view and download the Suspected Concussion Flow Chart. Surrey Lacrosse has partnered with Kids Physio Group, who is extending a 15% off discount on all physio services to SLA athletes for both post concussion and treatments for other injuries. This is the first time they have ever discounted services so please know that they are committed to supporting our community of athletes. They can assist families with financial challenges to apply to Variety Club for funding to cover all costs of treatment post-concussion. Variety Club has been very helpful to many families in the past. All athletes ages 10 and up (Peewee/Bantam/Midget) are required to have completed a full comprehensive baseline test through any Complete Concussion Management clinic prior to the season beginning. Baseline tests are valid for 1 full calendar year. Players are welcome to go to any CCMI clinic of their choosing to have the baseline test conducted, however, Surrey Lacrosse has partnered with Kids Physio Group again this year and they are offering a 20% discount on baseline tests for the next 5 Sundays: Feb 24, Mar 3, Mar 10, Mar 17, and Mar 24. All protocols and stages are based on the most current scientific research and this policy has been enacted to help keep your children safe; reducing the risk of concussion as well as the potentially permanent or fatal outcomes that may arise from improper management of these injuries. Thank you for your cooperation as well as your support in helping to make this sport safer for your children. For more information on our concussion program, email our Concussion Awareness Officer.